At this year’s Tom Wessels walk and talk, we were able to create a “symphony for Tom” using the Forest Bells. 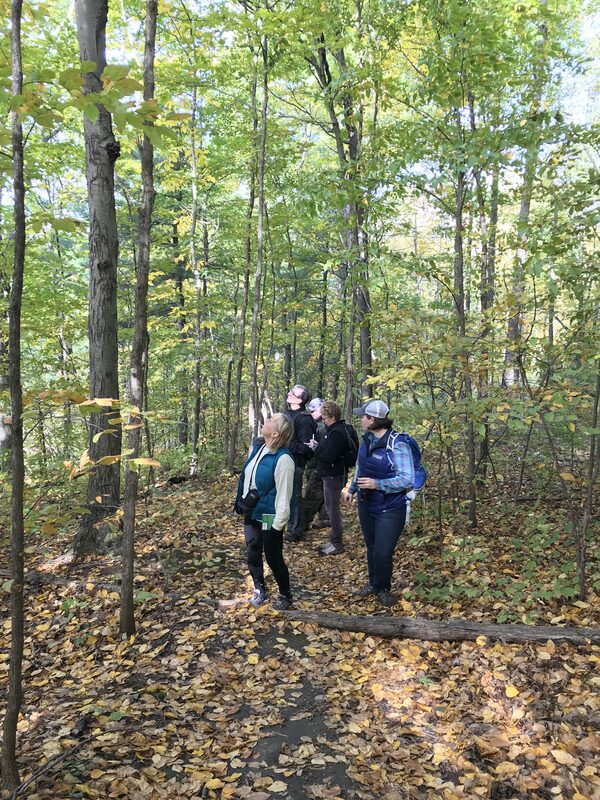 Your membership helps our all-volunteer board protect ecologically important areas and provide public access to over forty pristine conservation properties comprising 1,400 acres in Groton. These parcels are integral to a wider mosaic of contiguous habitat that benefits wildlife as well as hikers and bikers who relish the rich and diverse town-wide trail network. Your support not only protects special places, it ensures that you will receive invitations to all our events like the ones mentioned here. If you are already a member, now is the time to renew your commitment for the coming year. If you are not yet a member, now is the time to become one! Here are few of our highlights from the year. We are grateful to all our generous supporters. Thanks to people like you, conservation is working in Groton! 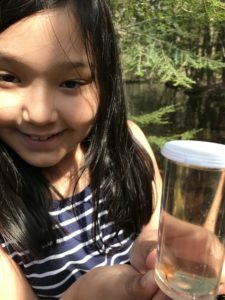 Creating citizen scientists right in our own backyard. Read more about this and Holly Estes’ story on our iNaturalist launch and efforts HERE. 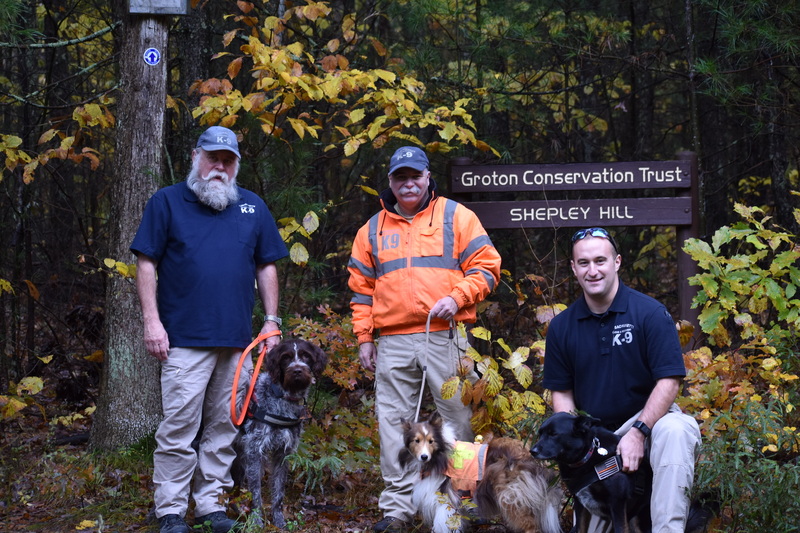 On a late October Sunday, I spent a few hours as a lost hiker in the woods with a group of volunteers from Massachusetts Rescue and Recovery K9 Unit (MARK9) volunteers on the Shepley Hills property. 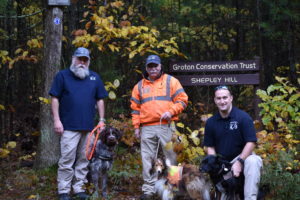 The MARK9 group uses Shepley, in partnership with the GCT, as training for their search and rescue dogs. The MARK9 group assists law enforcement agencies and rescue agencies in finding lost persons. Their specialty is live rescues, and most often centered on wayward hikers, wandering elders, or persons who become confused and are reported missing. On this day I met Paul Morris of Harvard, with his dogs Ditto and Arwen; Dale Chayes of Acton, with Frodo; and Tyler Bresse of Auburn with Pippa. Read Susan Hughes’ story on how the GCT hosts this great organization HERE. It was a lovely sunny morning when we met Trustees Michelle Ruby and Susan Hughes at the Bates Land parking lot on Old Ayer Road. They had invited us to join them in this year’s Tree Identification Walk. Tree identification began just over the brook, at the edge of the parking lot, with one of the most prevalent invasive species common to our town, American bittersweet, a woody vine with colorful yellow/orange pea-sized berries this time of year, and colorful orange roots. Bittersweet harms other plants by tightly winding around them, but does not extract nutrients. 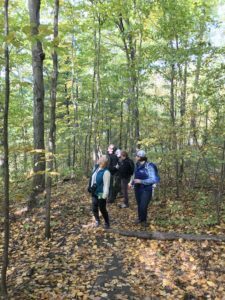 Read more from John Moores’ story on his tree ID hike adventure HERE. This entry was posted in Uncategorized by Susan Hughes. Bookmark the permalink.